Meatballs have a special place in our hearts. And there are so many ways to enjoy them. Here are 23 of the best of them. 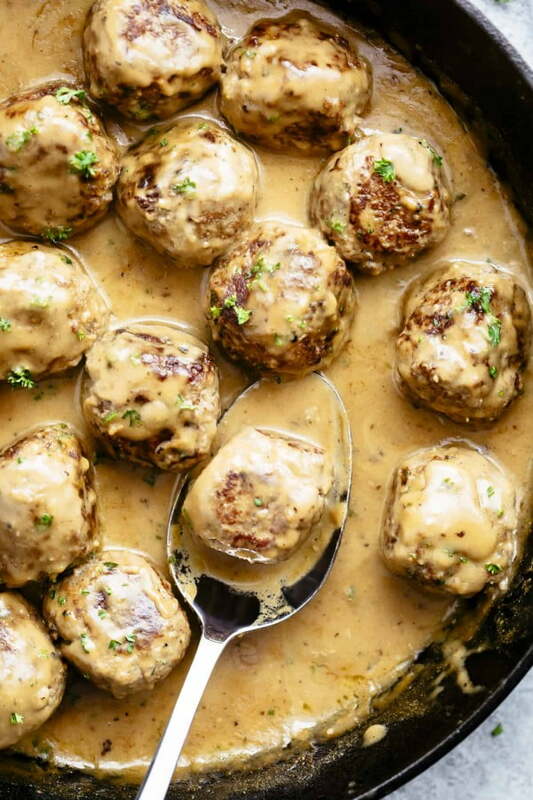 From traditional Swedish and Greek meatballs to the healthy low-carb version that fit almost all diets (except vegetarian, because of meat). There’s not a wrong way to enjoy meatballs for dinner. So check out these wonderful recipes, pick your favorites to try, and enjoy! An authentic recipe from a Swedish grandmother with a little twist. See this article for the complete list of ingredients and instructions. Fan of the favorite Chinese take out classic? 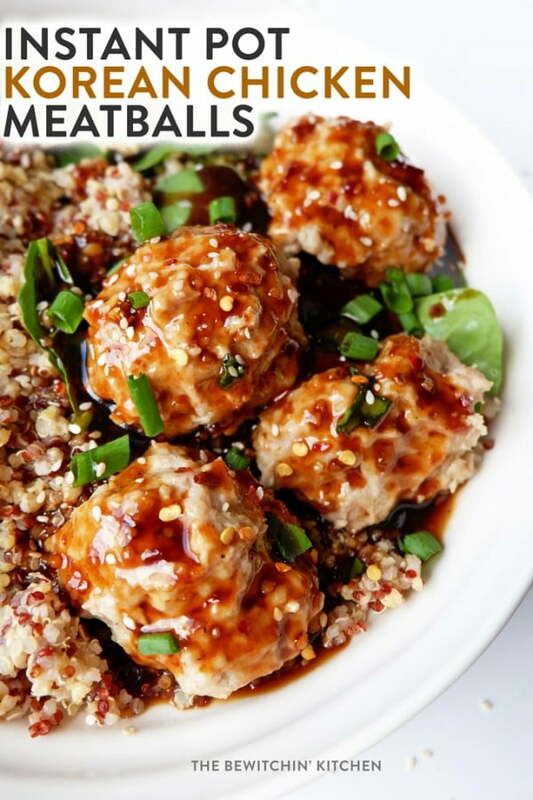 You will love these General Tso Chicken Meatballs. Regular and low-carb option. See this link for the list of ingredients and instructions. 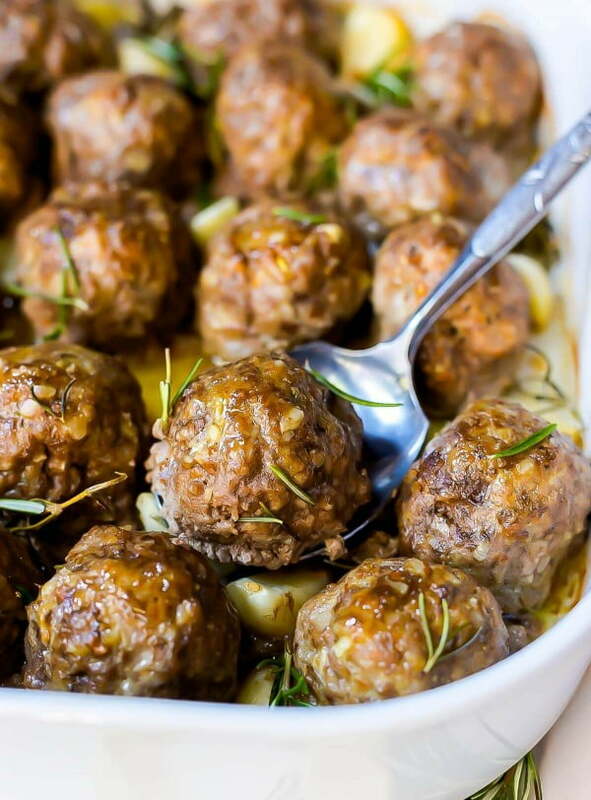 These Garlic Rosemary Whole30 Meatballs are an easy, nutritious and versatile dinner recipe. 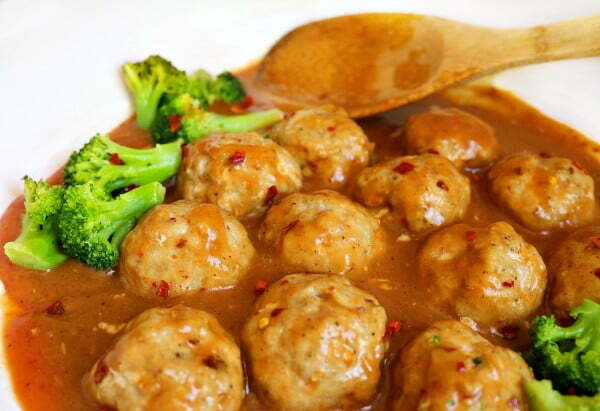 Meatballs are a healthy main course, add vegetables. Follow this article for the complete cooking instructions. 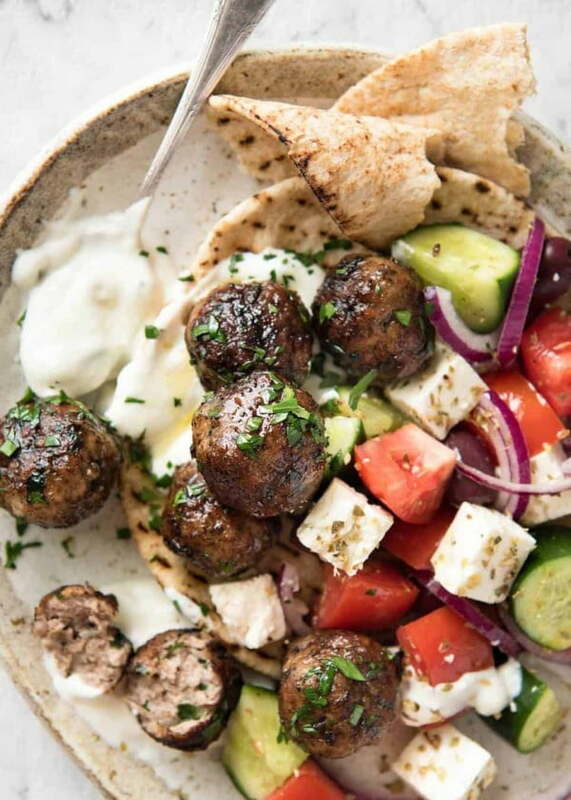 Juicy Greek Meatballs beautifully flavored with red onion, fresh parsley, a touch of mint, and a hint of dried oregano. Serve with pita bread and tzatziki. Follow this article for the complete cooking instructions. 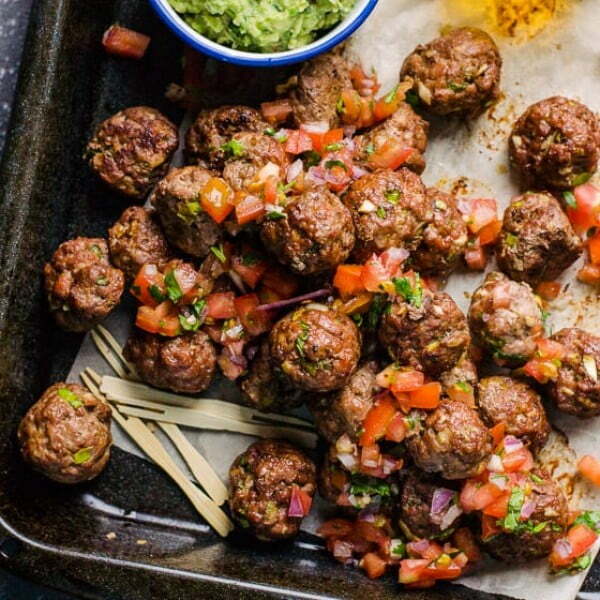 Super easy and delicious Mexican Meatballs Recipe with ground turkey, bake for 15 minutes, then serve with rice for an easy, healthy dinner or as an appetizer. See this link for the complete method. 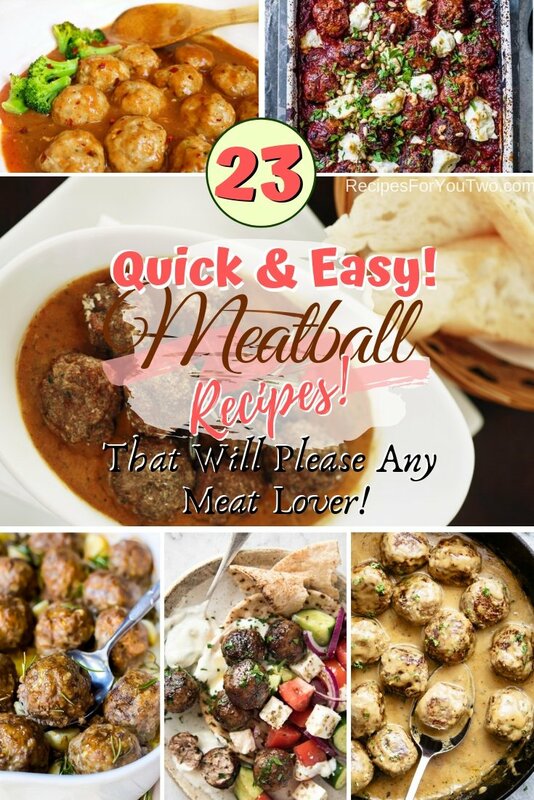 Looking for a fantastic and easy meatball recipe? You have to try these. The seasoning is spot on. The texture is just how you like it. Follow the link for the complete cooking method. 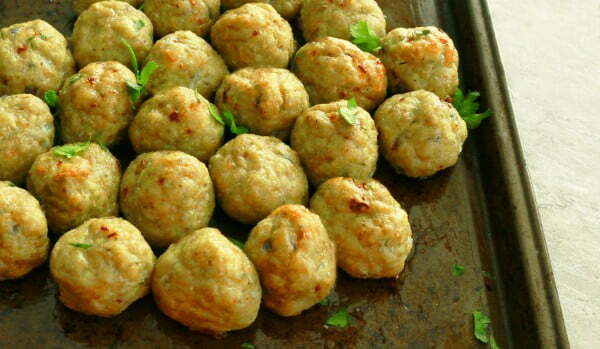 Soft and easy chicken meatballs as appetizers or main served with barbecue/marinara sauce. See the article for the complete instructions. 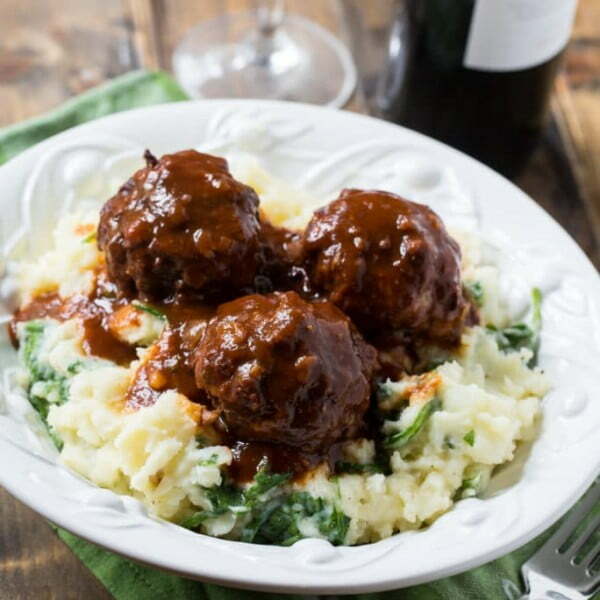 Braised Meatballs in Red Wine Gravy serve over Spinach Gruyere Mashed Potatoes makes a heart and delicious cold-weather meal. 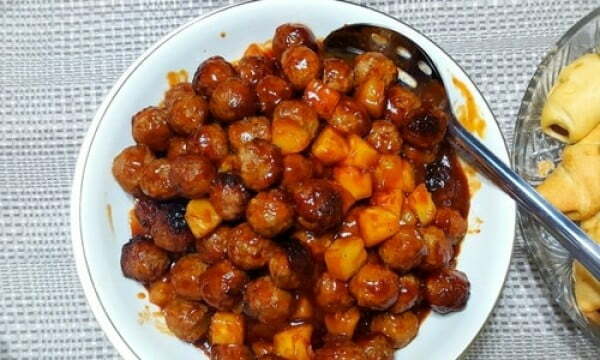 Large, tender meatballs coated in a full-bodied sauce. See this article for the method. This meatballs recipe is on the regular menu rotation for a good reason. 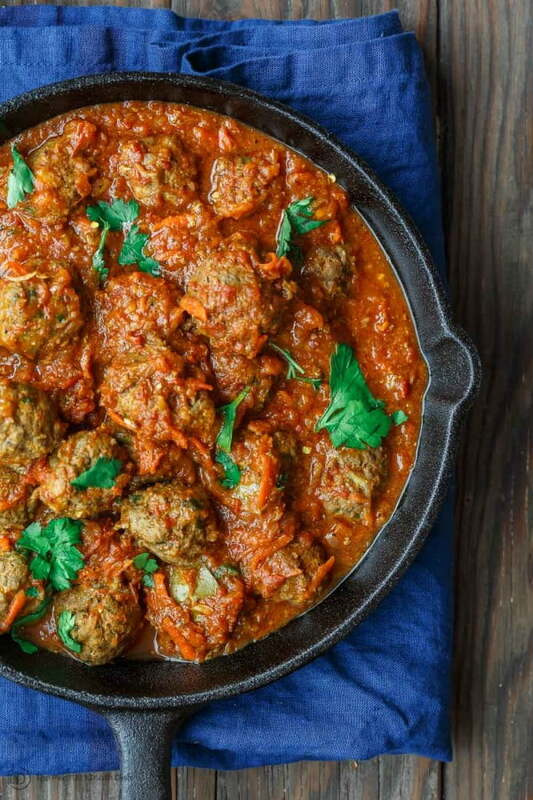 Melt-in-your-mouth tender meatballs prepared Lebanese-style with notes of cinnamon and allspice in a tasty, thick tomato sauce. Follow this article for the complete instructions. 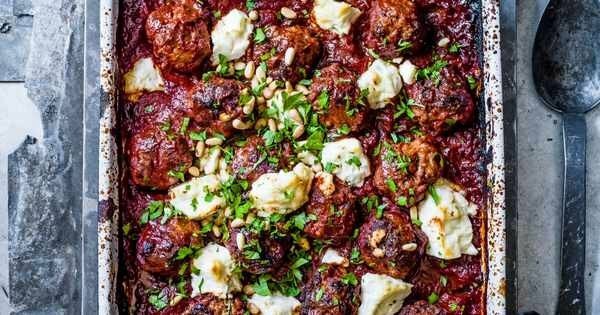 Check out this indulgent lamb meatball bake. This simple traybake is a super easy, all in one family recipe. Perfect comfort food. Follow this article for the list of ingredients and instructions. 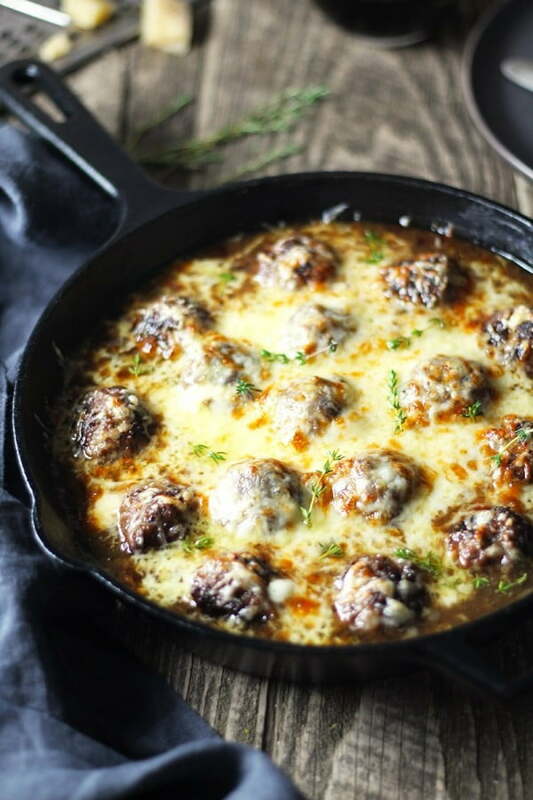 One skillet French Onion Cheese Stuffed Meatballs are the perfect alternative to the soup. 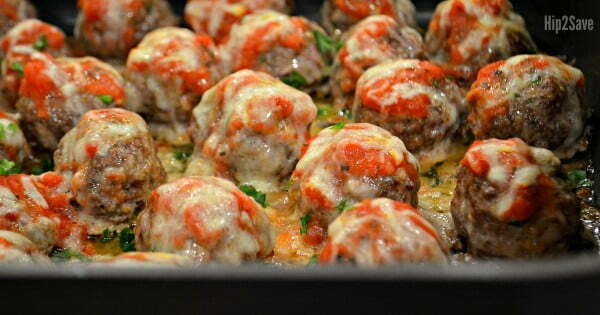 Cheese stuffed meatballs smothered in caramelized onion and wine gravy. See this link for the complete cooking instructions. So satisfying, you won’t even miss the bread. See this link for the complete cooking method. 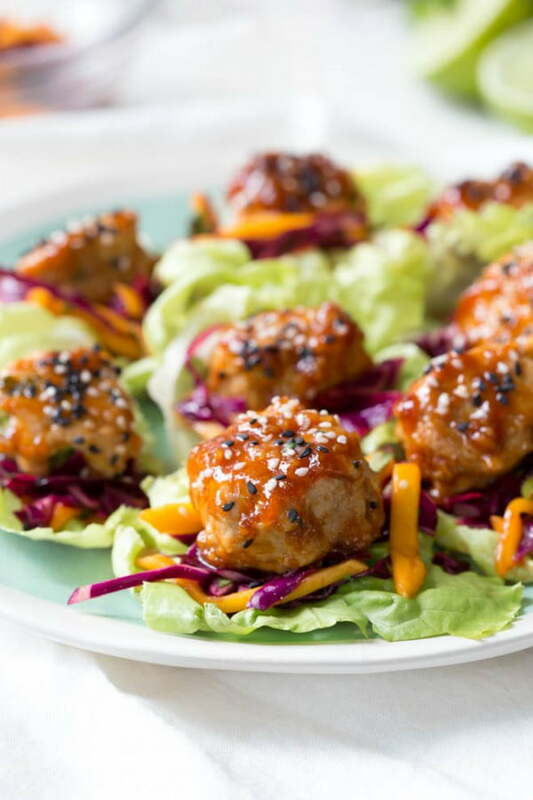 Wrap saucy chicken meatballs and fresh mango slaw with crunchy butter lettuce to create these Asian Chicken Meatball Lettuce Wraps with Mango Slaw. See this article for the cooking instructions. This Instant Pot recipe is heaven sent for busy weekday dinner ideas. Dinner is ready in 15 minutes. Follow the link for the complete recipe. 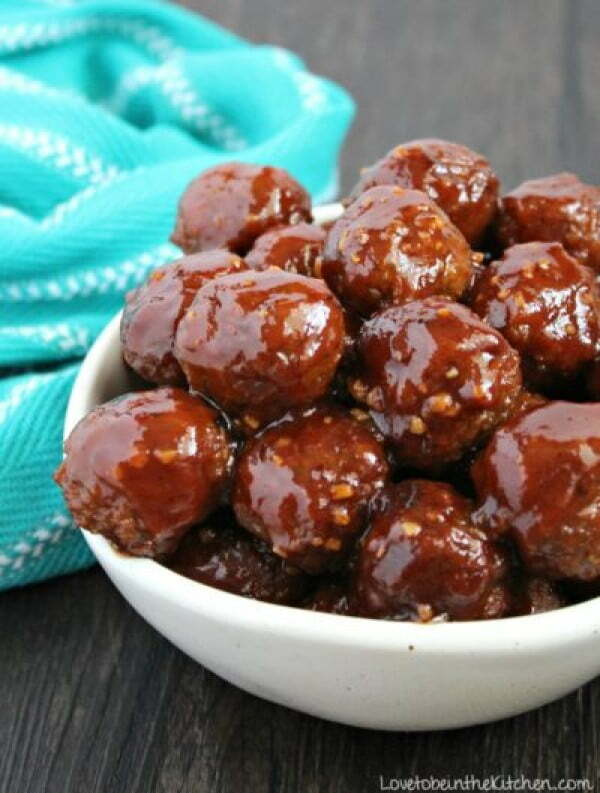 Slow Cooker Honey Garlic Meatballs are an easy and delicious appetizer or main dish. Just add the frozen meatballs to the Crock Pot and pour on the simple and incredibly tasty Honey Garlic Sauce. See this article for the instructions. This Slow Cooker Pineapple BBQ Meatball recipe is a family favorite. It is both sweet and tangy that will leave you to want more. Follow the article for the list of ingredients and instructions. 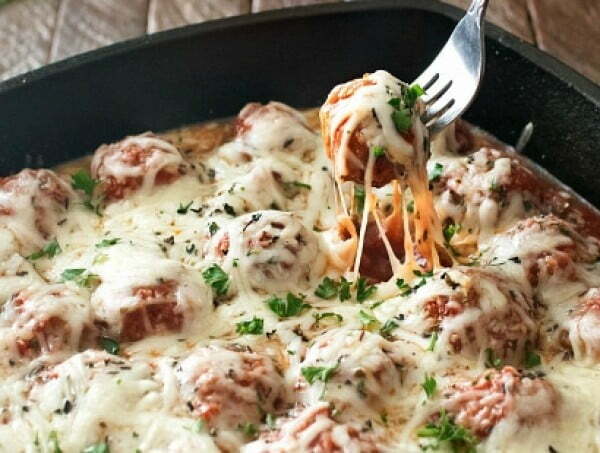 These meatballs are so easy to make, cheesy, and will win over a crowd. See the link for the complete method. 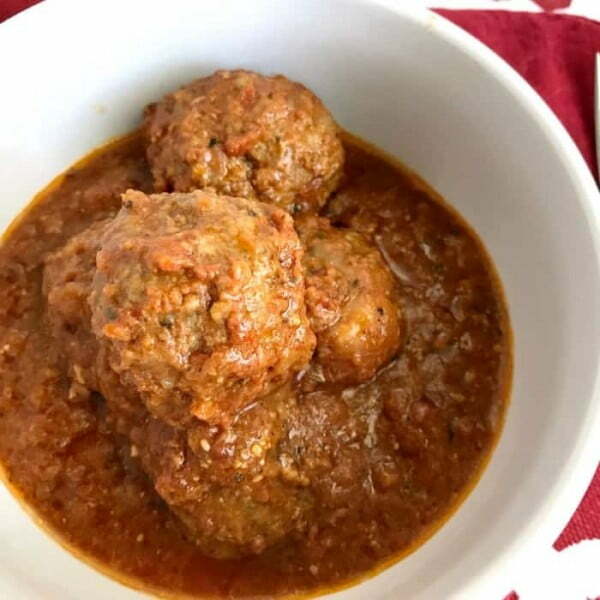 If you’re following a Keto diet, these low-carb meatballs are delicious and easy to make family meal idea. Follow the article for the instructions. 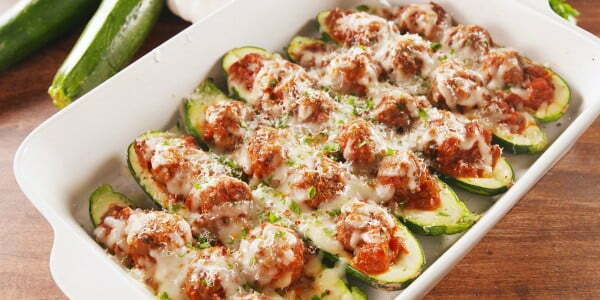 What an amazing recipe for baked turkey zucchini meatballs. Follow this link for the cooking instructions. 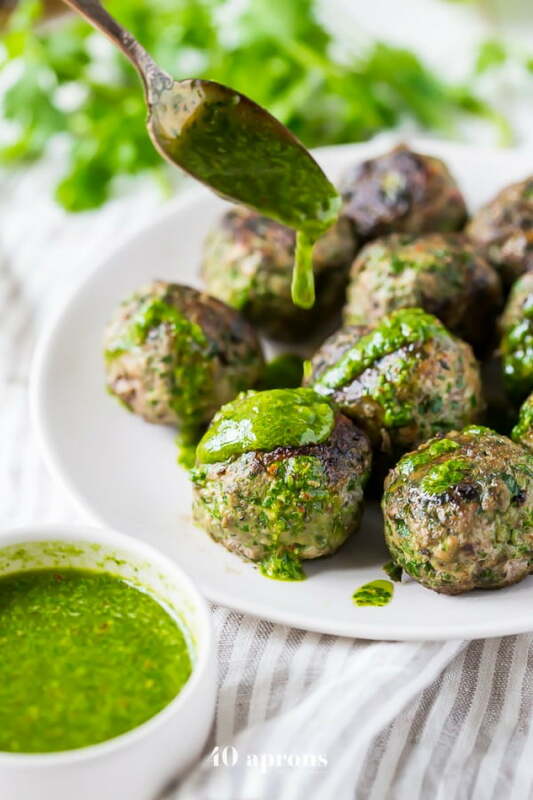 These chimichurri Whole30 meatballs are packed full of flavor and come together quickly with the help of a food processor. See this article for the method. 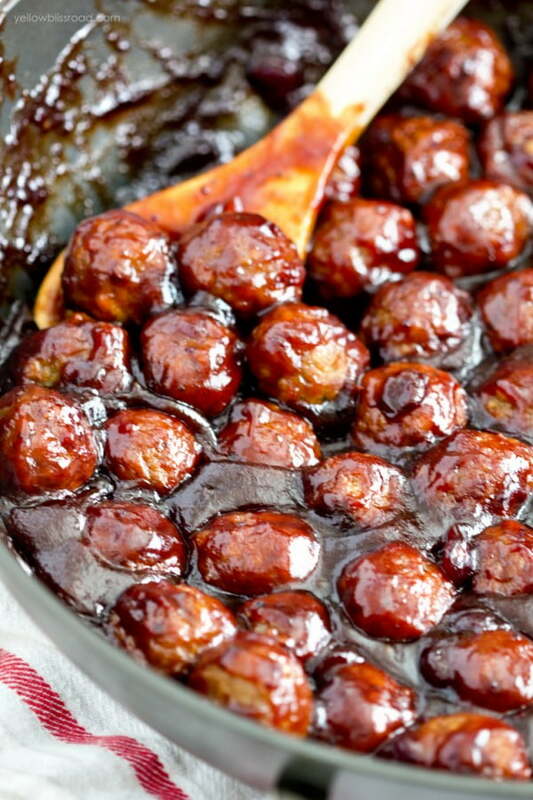 Cranberry BBQ Meatballs are incredibly easy to make, require just three simple ingredients and can be made right on the stovetop, or in your slow cooker. See this article for the complete cooking instructions. This hearty meatball parmesan bake combines homemade meatballs, marinara, and Italian cheeses in one skillet or pan. Perfect for subs, pasta, and more. Follow the article for the complete cooking method. Parmesan Meatball Soup is the ultimate comfort food. 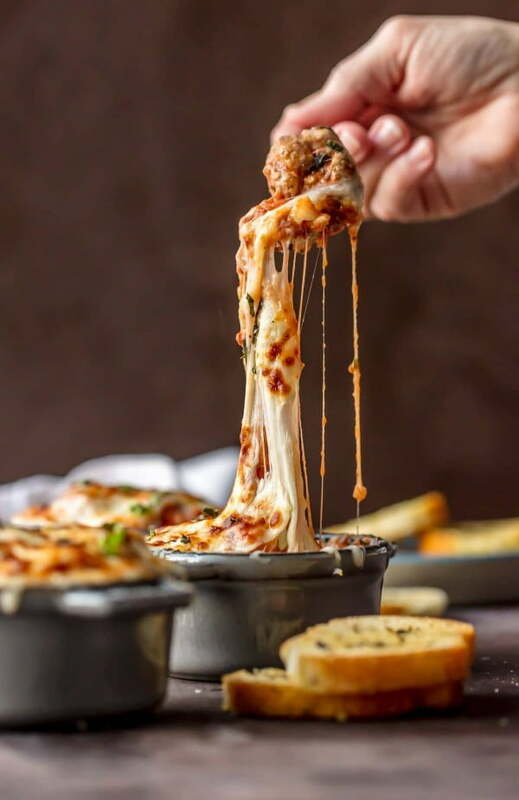 This cheesy, hearty Meatball Parmesan Soup topped with melted cheese, and basil might be the best soup you’ve had all year. Follow this article for the cooking method.